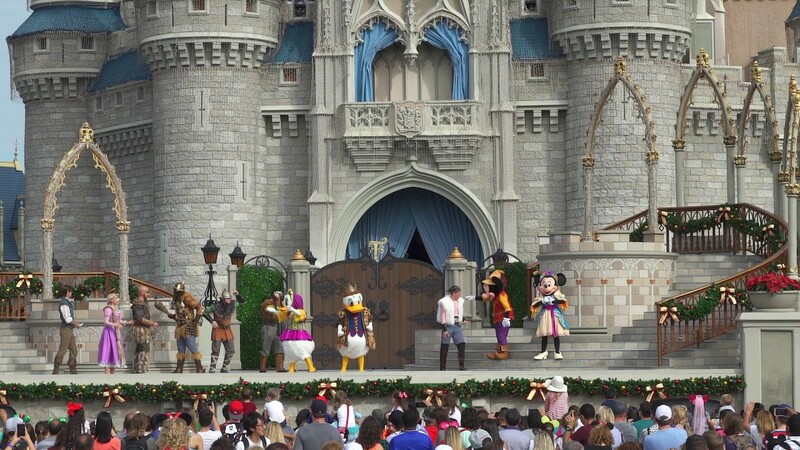 Jul 27, 2016 in "Mickey's Royal Friendship Faire"
The Magic Kingdom's new castle show will feature seasonal updates. Part of a Disney social media interview, Disney confirmed today that Mickey's Royal Friendship Faire will celebrate autumn and the holiday season, with changes to both the music and costumes in the finale scene. 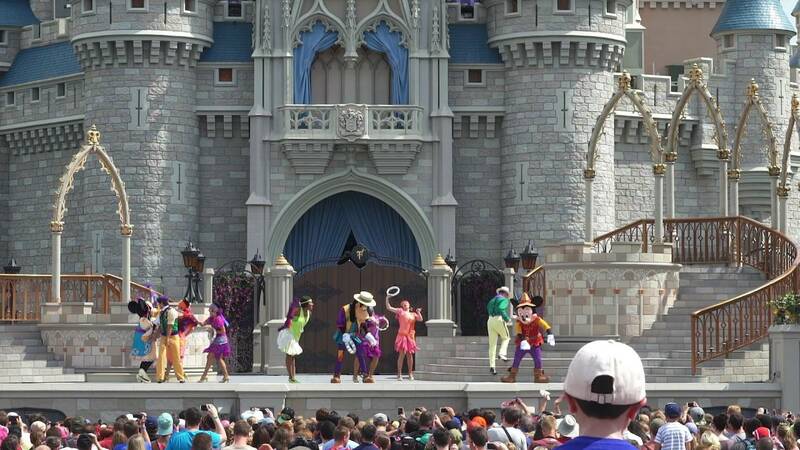 Mickey's Royal Friendship Faire debuted on June 17 2016, and features Mickey, Minnie, Donald, Daisy, Goofy, Tiana, Naveen, Louis, Rapunzel, Flynn Rider, Olaf, Anna and Elsa. Seasonal updates have become more common at the Magic Kingdom, with the Main Street Trolley Show and Celebrate the Magic offering different shows throughout the year. More from "Mickey's Royal Friendship Faire"